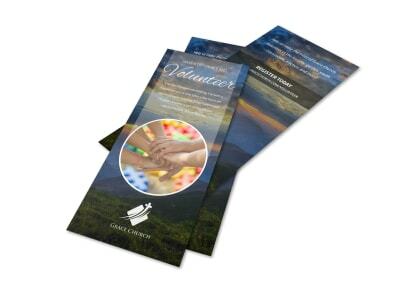 Customize our Be A Volunteer Church Flyer Template and more! This flyer is just the thing to encourage members of your community to step up and volunteer. 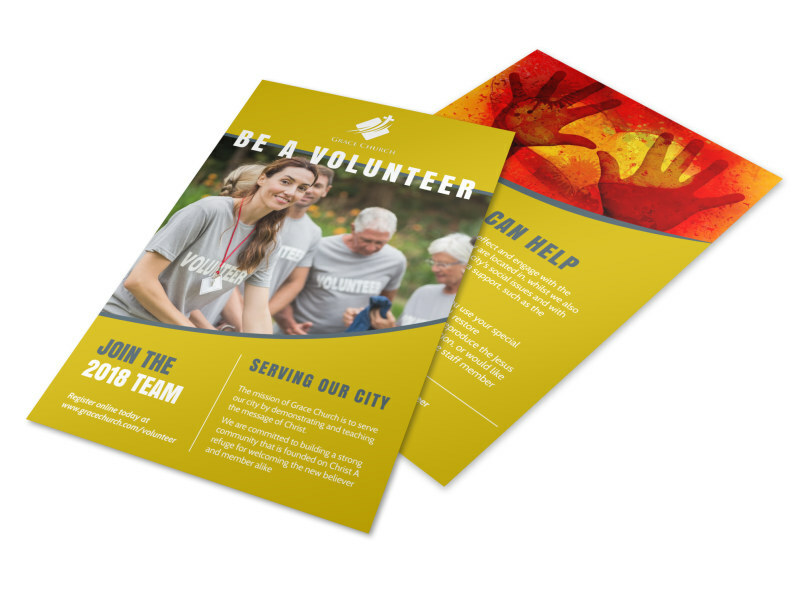 Use our online editor to design a template calling for members of your congregation to volunteer at church-related events, or to offer their time and services to feed the homeless, collect food and clothing for the poor, and more. 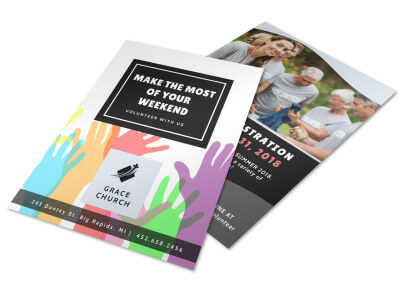 Print your unique flyer from your on office printer to distribute immediately, or leave the printing to us so you can focus on helping your community.